Hope all is going well and you are having a nice relaxing evening. 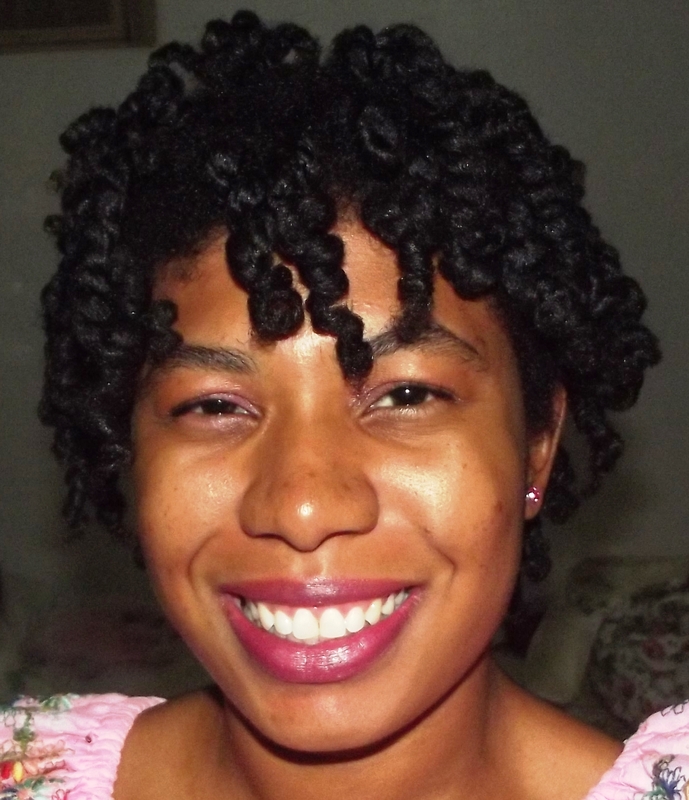 As you girls know, Naptural85 is one of my favorite Naturalistas, her tutorials are awesome, hair is gorgeous and she is very sweet and caring. Have learned many things from Ms. Whitney, how to take care of my natural tresses, maintain her health of my hair while having fun. Hehehe, results were a lot different with my hair type, for me, it did not work at all but all my family loved it so will share with you girls. 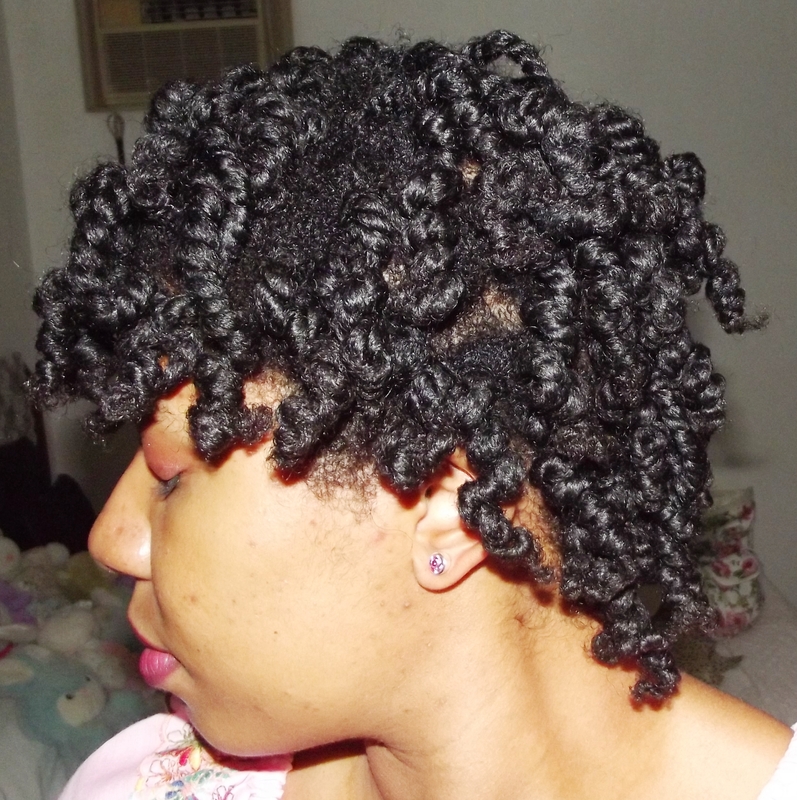 Ms. Whitney’s curls came out super defined and lovely, I do believe it works better for looser curls than tight coils like mine. Parted hair in 12 sections. Washed each section of hair with Conditioner Mix under running shower, place in twist, proceed with rest of hair. 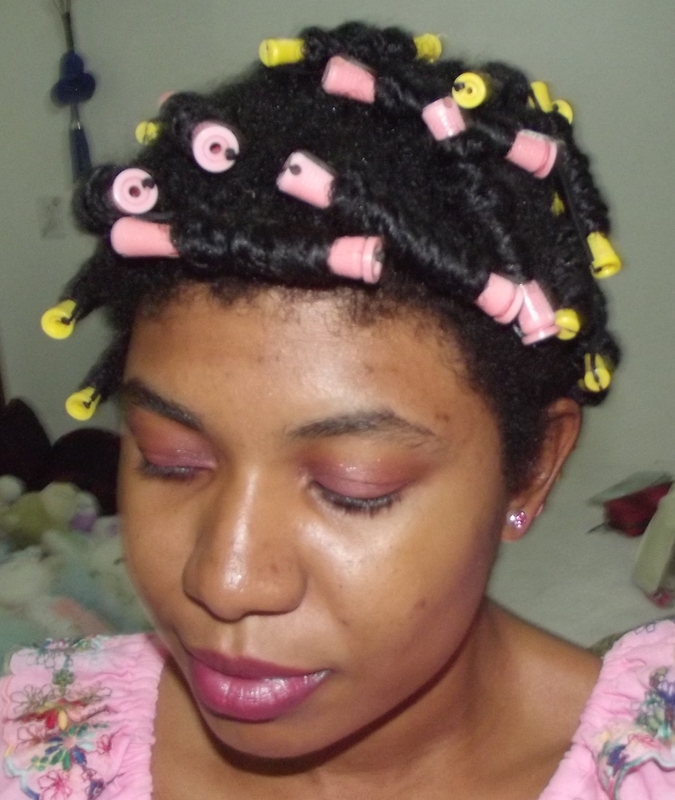 Rinsed each section thoroughly and applied my Oil Mix, proceeded to place each section in Bantu Knots. 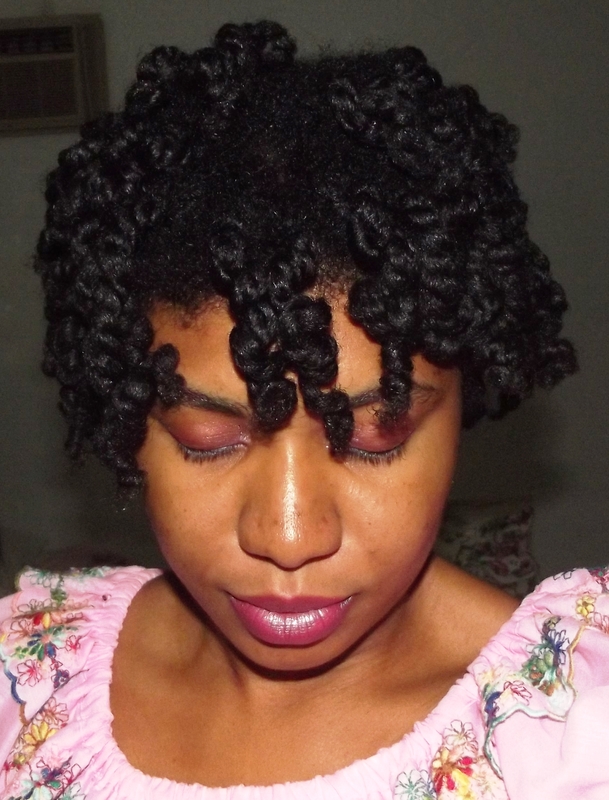 Wrapped hair in a t-shirt to dry for 1 hour, then pinned each Bantu Knot flat on head holding together with small hair pins. Left to completely dry for 16 hours. For take out, applied oil on my hand to take down each section. Please click on following link to see Ms. Whitney’s results, seen here. She came out quite poofy and super light, so that was fun, hahaha, not what I was going for, but you live and learn, right. 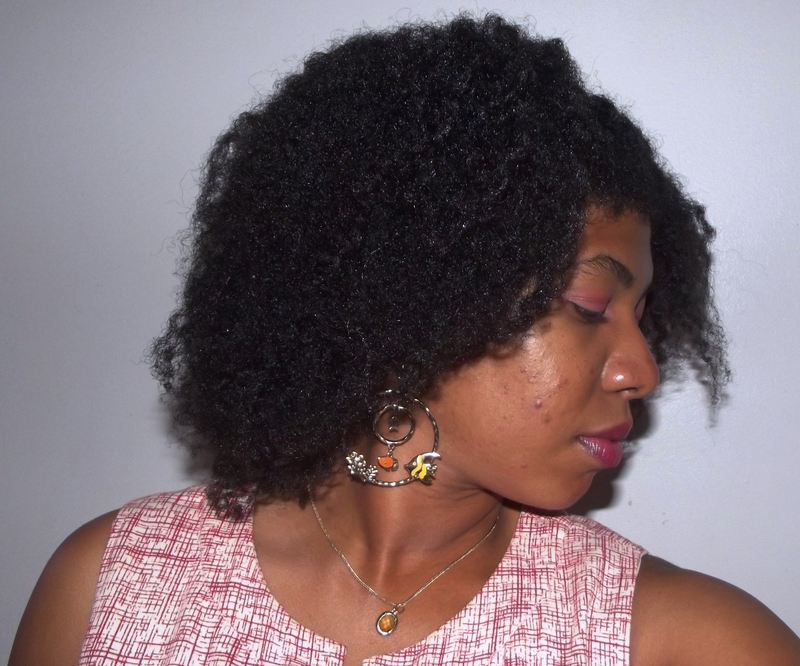 If you have looser curls, I just know this style will look darling on you, so do try if you can. For those of us with tighter coils, if you try and are successful, excellent and do tell me how you achieved it. For daily maintenance, perhaps place hair in 12 huge twists or pineappling to keep style will work out. A few tips for you, this style is done in the shower, I did in cold water because that is what I have, but please if you can, do in warm water, was freezing after a while, hahaha. Also, because it was my first time at attempting this style, took me an hour, so please have time on your side, be patient and have everything you need right there with you so it is much more convenient. 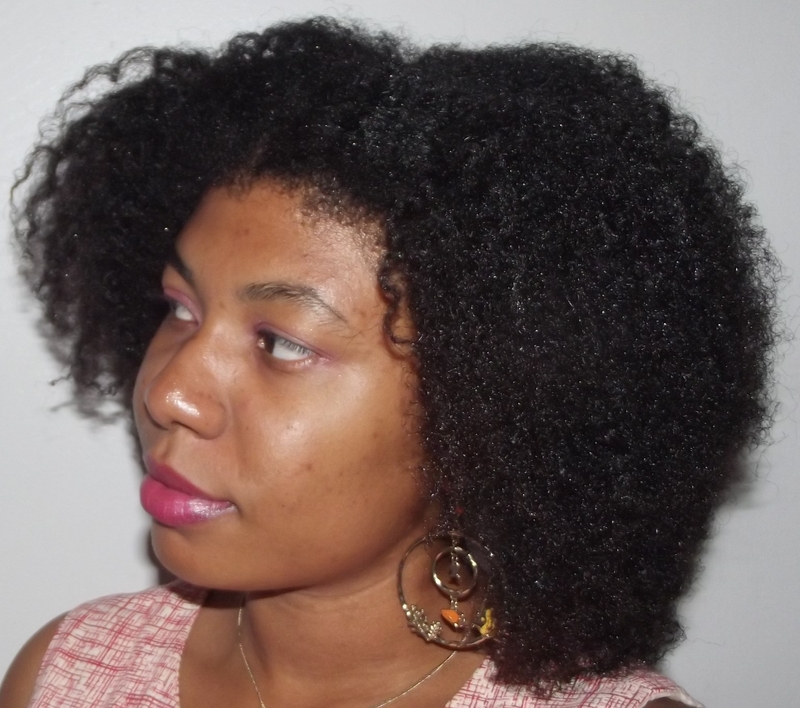 Make sure your hair is dry 100% before take down so your curls or coils can be beautifully defined. Wish you the best on this style. !!!! !Thank you for reading my dears, many thank yous Ms. Whitney, love your styles and do keep your tutorials coming!!!!! 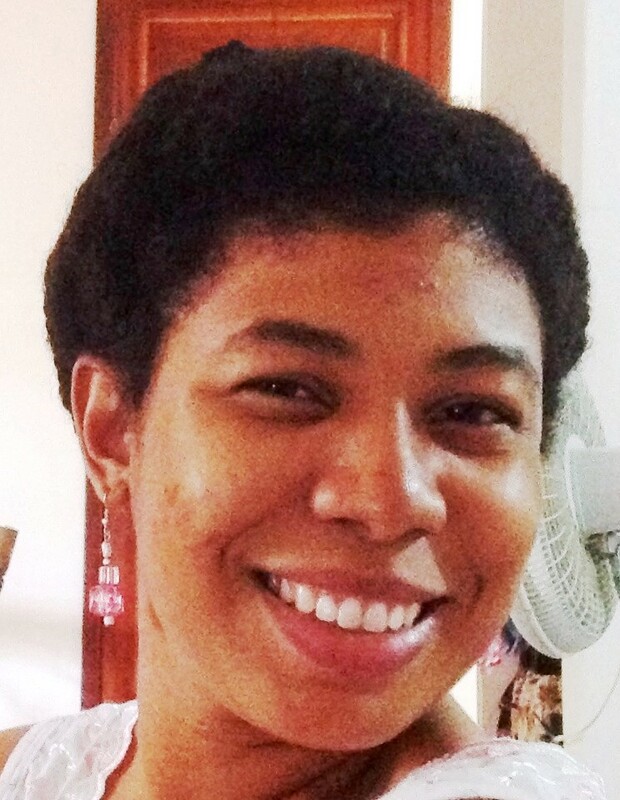 This year is really working out well for me with different styles, our natural ladies have been coming up with awesome hair styles that are not only easy, fun but look absolutely awesome. As with all styles, watch, learn and tweak to your specific hair needs and it will work for you. There you will find exactly how she achieved the style plus an excellent video tutorial and guide, if you have any questions, do feel free to ask her in above link. 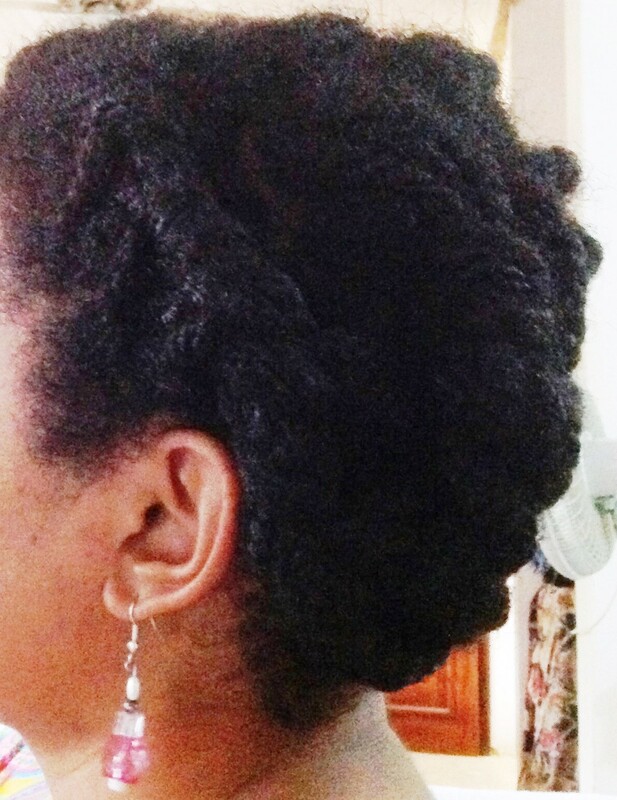 Thank you so much my dear, not only am I personally in love with this style, but want to try it on some of my natural sisters plus all my family loves it. It is perfect for any occasion from chic to fancy, you do not even need accessories, the style itself is your hair accessory. Applied Conditioner to hair, followed with aloe vera gel and olive oil to seal ends. 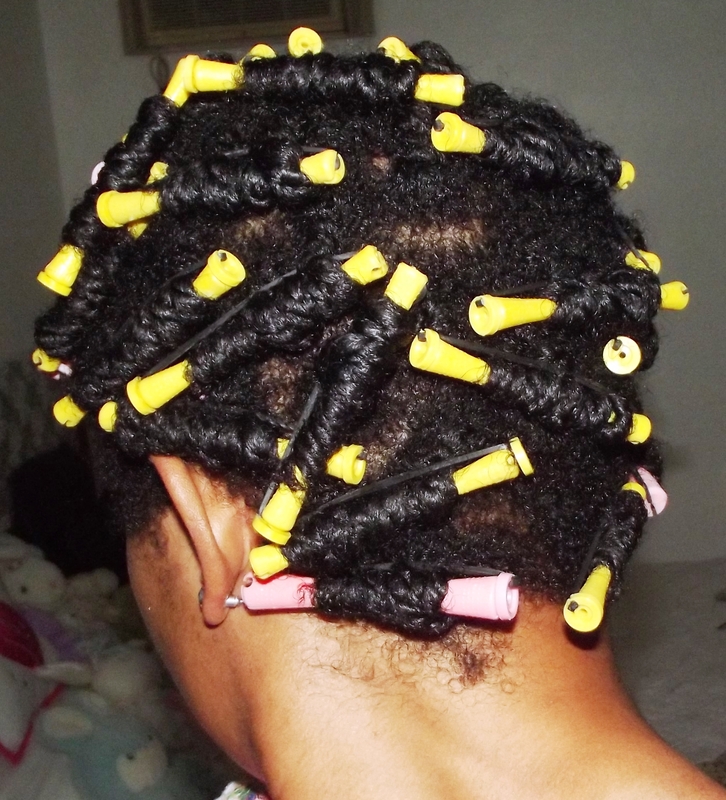 Proceeded to curl 2 sets of twists on rod, starting from ends to scalp, as firm as possible. Did in two´s because did not have enough rods for each individual one. When all done, covered hair with satin bonnet and of to sleepy time. In the morning, uncover hair, apply some olive oil on your hands, start to take out curls, be gentle and take down each rod in a curling mode fashion. As you can see, my results are a bit different which will happen, your results will always be different in their own amazing way. This is now one of my favorite styles!!! 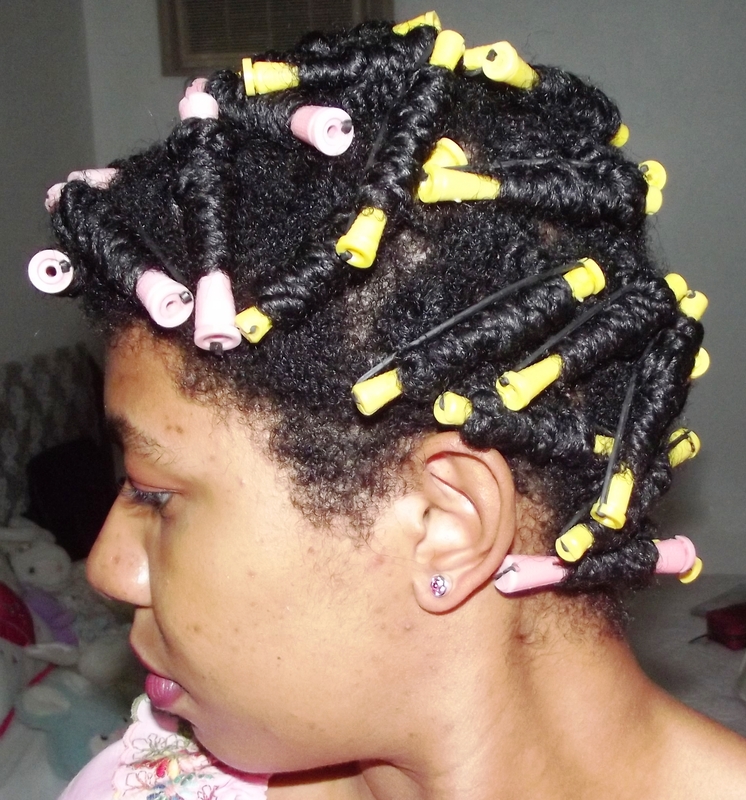 Maintenance, in my case, is adding a small amount of gel or oil to ends and curl back onto rods each night, takes me about 10-15 minutes tops. To maintain her moisture, I do the L.O.C. Method every 3 days, keeps her moisturized, happy and super soft. As our hair continues to grow in volume and length, it becomes a bit more difficult, at least in my case. For these past few months, have been racking my brain looking for a protective style that I could put in and leave for about 1 month, without manipulating my hair on a daily basis. 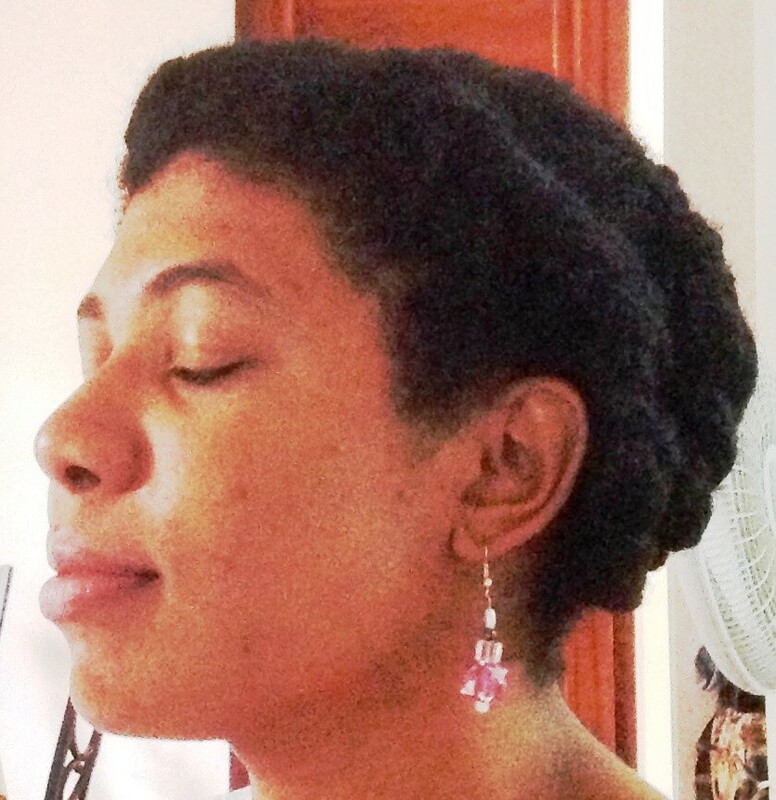 Two strand twists have always been a favorite of mine, but after 2 years, I want to learn how to do something new, you know, out of my comfort zone, so thought to myself why not try, Flat Twists. Now, I know, most of you girls are amazing at flat twists and are Masters at this Art but not me, am merely a beginner of a beginner! 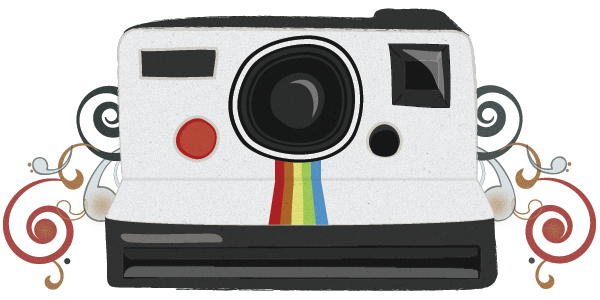 As with all things, will get better with time……………….I hope…….. hahahaha……. we shall wait and see. I did try 2 times before, but both styles came out terrible, so this time, I sat down and did it as best as I could to be presentable. 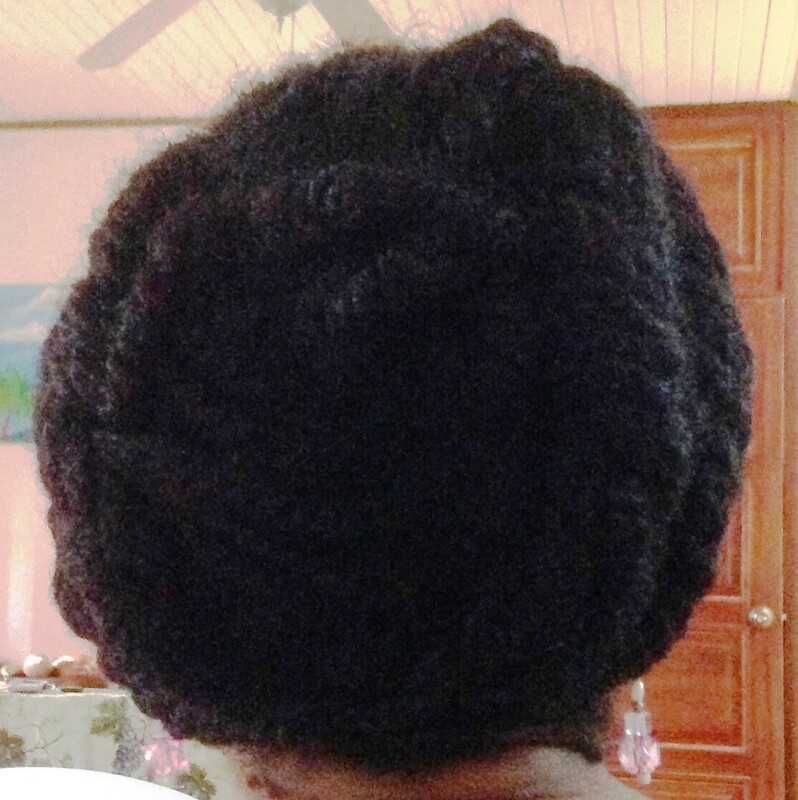 The first two times, because am extremely tender-headed, did them way too tight and boy did my scalp hurt! So did them looser this time and no pain, YES! This will be my new go to style for next 6 months to 1 year, depending on good my progress is. Did the flat twists using my two strand twisted hair with a bit of conditioner mix, olive oil to seal and of course water to hydrate. This is another one of the reasons, I love natural hair, because there is always something new to learn how to do or how to improve. Flat Twists are a very beautiful and unique way to style your hair plus the styles are endless as you progress and improve.